Vivek Misra, M.S., is a clinical neuroscientist and Chief Ideator & Founder of Uberbrain Research Frontier. Vivek is a science advocate who is driven by his passion for science communication and grand challenges in Healthcare, applying current advances, and innovating future applications to achieve real-world impact. Vivek graduated from SRM University in 2010 with Bachelor of Technology in Genetic Engineering, subsequently obtained M.S. 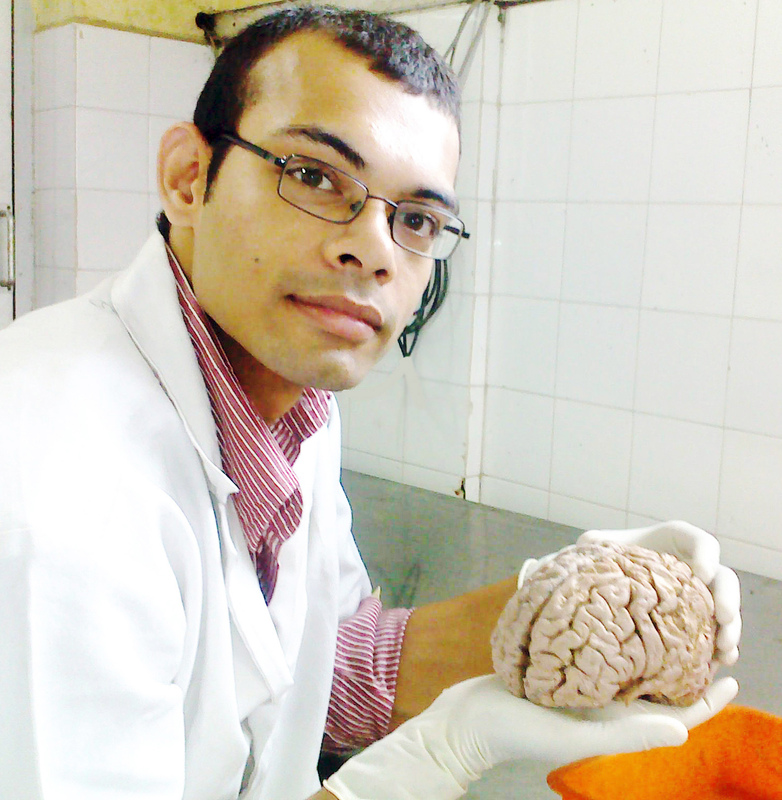 in Neuroscience majoring in Clinical Neuroscience and Epidemiology from Faculty of Medicine, University of Madras in 2012. After earning his M.S. in 2012, Vivek joined The Institute of Neurological Sciences, VHS Multispeciality Hospital and Research Institute, Chennai as T.S. Srinivasan Research Fellow later promoted to Assistant Director – Research. Vivek has academic responsibilities as Faculty in Clinical Neuroscience and Research, which involve teaching Principles of Clinical Neuroscience to students with diverse backgrounds. Starting April 2018, Vivek holds a position of Honorary Research Fellow at the department. Apart from academic positions, Vivek is Consultant – Innovation and Research at Neurokrish – the neuropsychiatry center, where in his role, he is responsible for Healthcare Innovations, Publications, developing E-resources and oversee the implementation of HealthcareIT platform in a multidisciplinary team. After having completed Fellowship in Brain Stimulation at Rambam Healthcare Campus in Haifa, Israel, Vivek has established and leading a state-of-art Neuromodulation Lab with rTMS and tDCS; and Neurophysiology Lab with Polysomnography, qEEG and ANS Systems. His current research focuses upon Clinical Neuroscience and application of Brain Stimulation procedures in a range of Neuropsychiatric Disorders under the supervision of Prof. (Dr.) E.S. Krishnamoorthy.